Our team is bringing decades of M&A experience to a webinar format designed to expand your knowledge on exit strategies. This webinar will unpack the complexities and pitfalls you will want to avoid. This ongoing series will also cover a selection of topics you will want to familiarize yourself with so you can maximize your exit when that time comes. The Generational Executive Webinar was created for busy owners like yourself. The sessions are concise and well worth your time. Sign up for your invitation to get started and we’ll be in touch with the details. We look forward to serving you. Sign up for your exclusive invitation to our executive series and we’ll be in touch with the details. 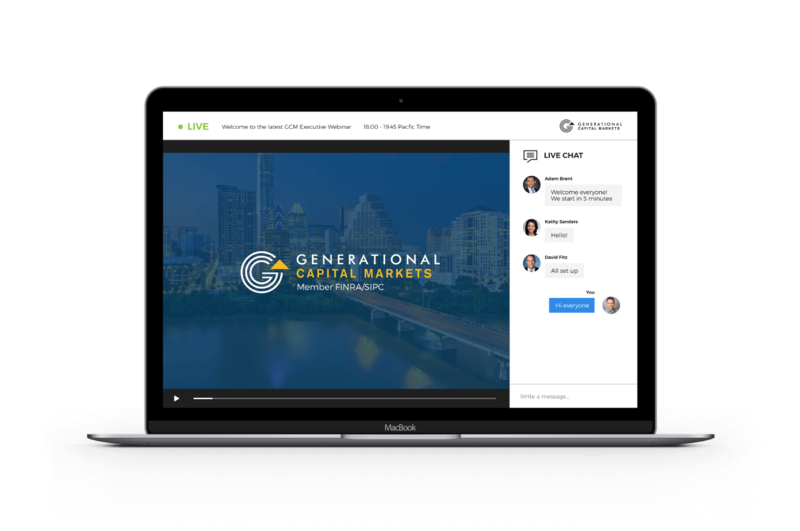 Thank you for signing up to the complimentary executive webinar hosted by Generational Capital Markets. We’ll be in touch by email with more details.